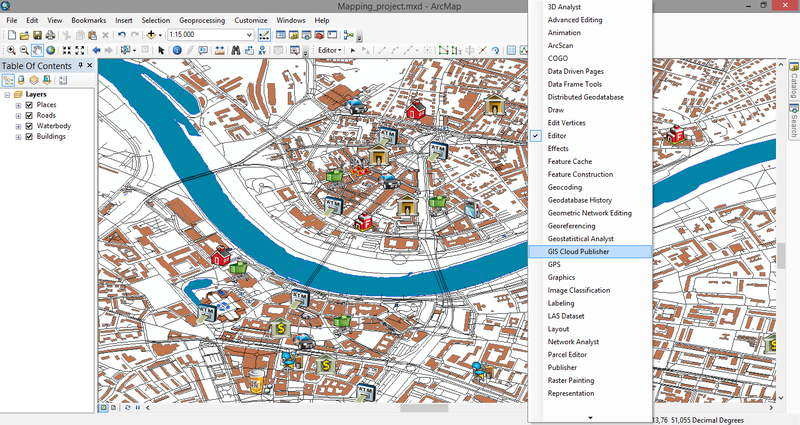 Download and install GIS Cloud Publisher for ArcMap extension. Note: If you don’t have 4.5.NET installed on your computer, install it before installing Publisher for ArcMap extension. Also make sure that firewall is not blocking the app. Open ArcMap and right-click on the ribbon to enable the extension. 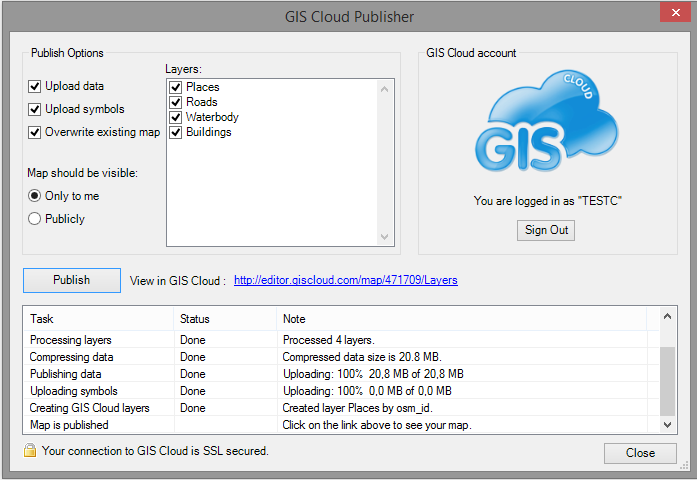 Open GIS Cloud Publisher extension from the ribbon. 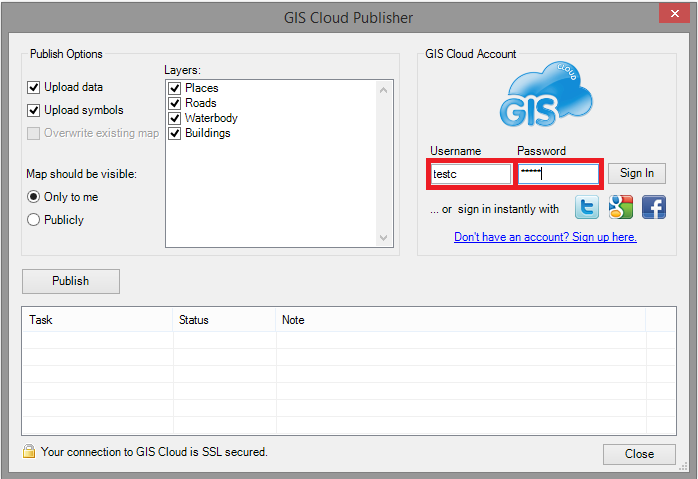 Log in with your GIS Cloud credentials. Set up publish options, click Publish button and wait until you see “Map is published” message. 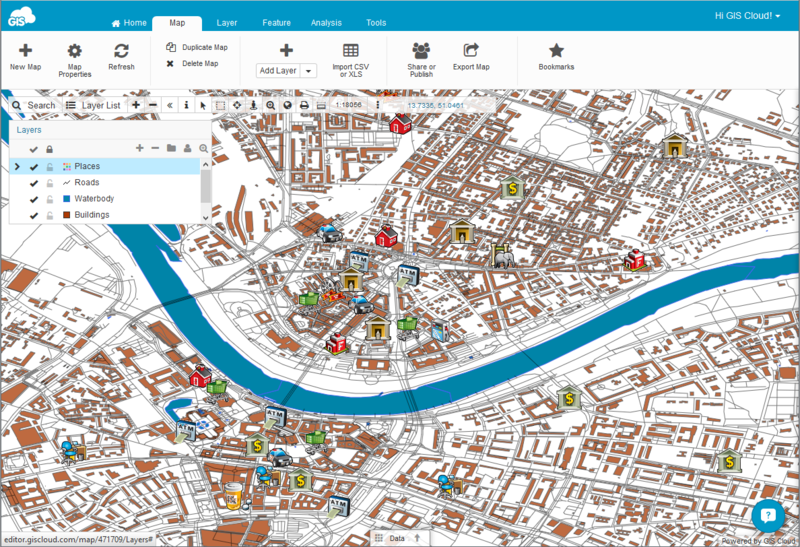 Click on the link in the Publisher to open your map in GIS Cloud. Note: make sure that layers in the ArcMap are not within folders otherwise layers will not be imported in the GIS Cloud.